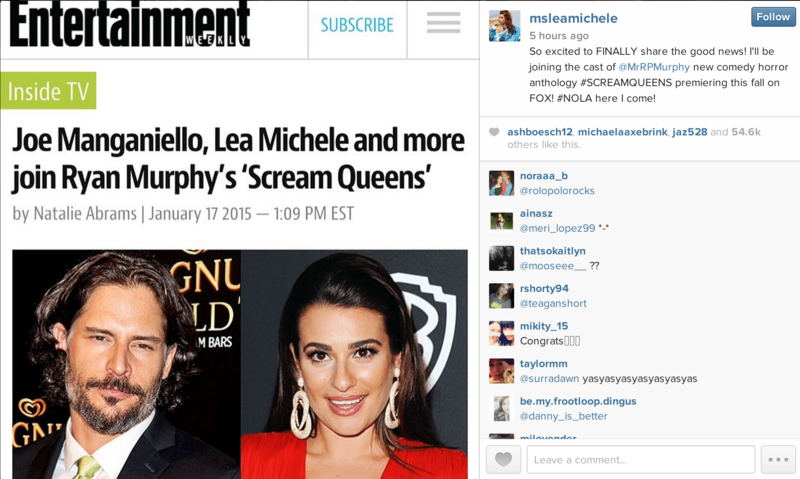 “Glee” star Lea Michele revealed on her Instagram account today that she will be joining the cast of Ryan Murphy and Fox’s new horror-comedy series entitled “Scream Queens.” The show will also feature Joe Manganiello, Abigail Breslinand, Keke Palmer, Jamie Lee Curtis, Emma Roberts and new pop star princess, Ariana Grande. Who’s excited? Me! Me! Me!